The fly is simple, just a bunch of snow shoe fibers for wing, body made of dubbing and ribbed with tinsel ( I used perdigon flat tinsel in pearl color ). What is different compared with other similar flies is the hook. 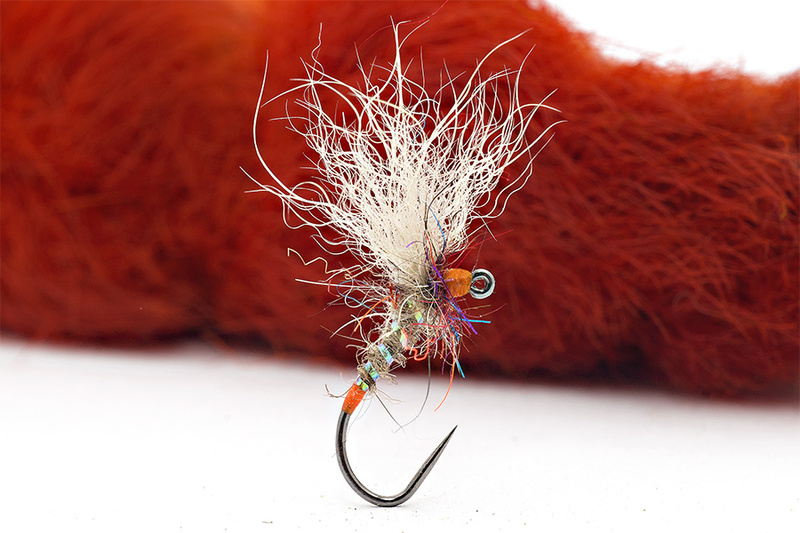 I tie this fly on jig because it gives a more better position in water and a strong hook-up. Another tip is to let the bunch of snowshoe fibers long enough to keep the fly floating in any kind of conditions.